Niantic has finally announced how the long-awaited Player versus Player battles will work in Pokémon GO. Officially titled “Trainer Battles” the new feature is set to debut later this month. In Trainer Battles, players will be able to take on other trainers outside of the AI controlled gym setting. You’ll be able to battle any Pokémon GO player you meet in person by scanning their battle code, but players who have reached Ultra or Best friend status will also be able to battle each other across any distance via the internet. Participating trainers are rewarded with items, including evolution stones like the recently added Sinnoh Stone. Pokémon GO Trainer Battle in action..
Before the battle begins each player will have an opportunity to create a team consisting of three Pokémon. Selection is similar to the game’s current Gym / Raid Battle set-up, which most Pokémon GO players should already be fairly familiar with. Trainer Battles are then fought in real-time using the on-screen buttons used to control each Pokémon. 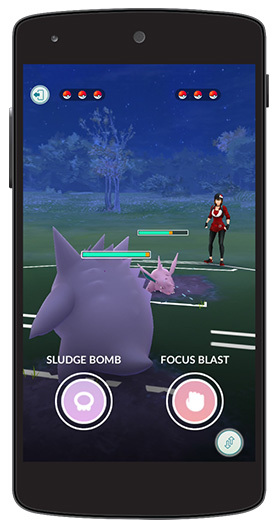 Players will be able to select between a Pokémon’s fast and charged moves via two on-screen buttons. This allows greater control over the Pokémon’s abilities compared to the standard tapping method used in the existing Gym / Raid battles. A new Protect Shield ability is also being introduced, which can be used a limited number of times during battle to avoid taking critical damage. However, if you use them all up too soon your Pokémon will be open to attack. Niantic will also be offering a method for users to practice the new Trainer Battles. Players will be pitted against one of the game’s three Team Leaders and given the opportunity to earn some Stardust. After practising, players will then be able to battle other players in the main battle mode. This features three separate ‘battle leagues’, with each league limiting the maximum CP of Pokémon that can be entered. 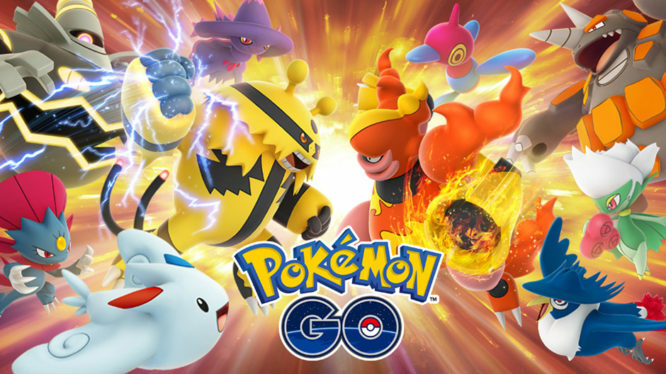 The Great League allows any Pokémon up to a maximum of 1500CP, the Ultra League allows Pokémon up to 2500CP battle, and the Master League has no CP limit (meaning all of your strongest Pokémon can take part). Pokémon GO Trainer Battles will be introduced via a mandatory iOS and Android update at some point in the coming weeks. Although so far, no specific launch date has been officially announced.